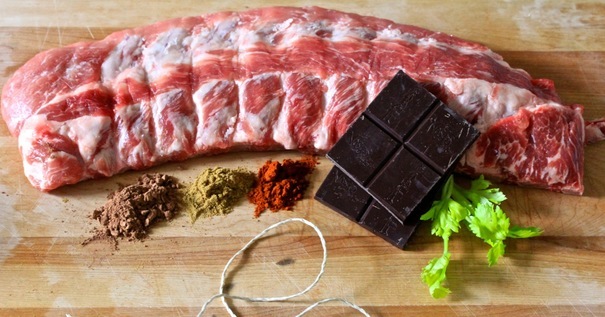 Mix dry rub ingredients together and coat ribs on both sides. 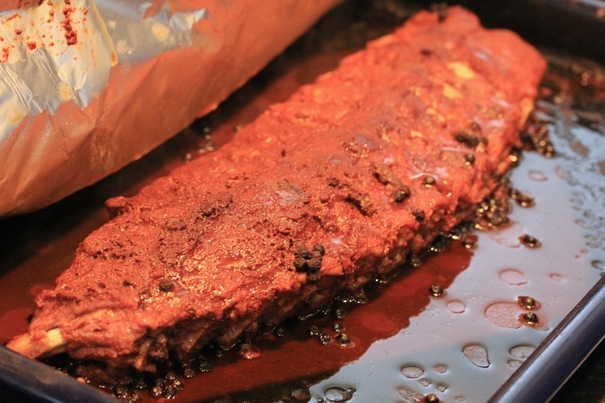 Put ribs into a baking sheet, and fill with water half way up the pan. Seal with foil and roast for two hours. Finish on the grill by putting ribs on medium-heat grill, bone side down. Cook for five minutes, then flip ribs and baste with chocolate barbecue sauce. Baste and grill ribs until they are crispy and covered in sauce. Cut into individual pieces to serve. Heat oil in a large saucepan at medium low heat. Saute onions and ancho chile pepper about ten minutes, until the onion is golden. Deglaze pan with apple cider and cook on high for 2 minutes. Add all other ingredients, except cilantro, and bring to a boil, then reduce heat to simmer uncovered. Stir occasionally and allow to cook at very low heat for 2 hours until thickened and dark. Brush sauce on ribs just before serving. 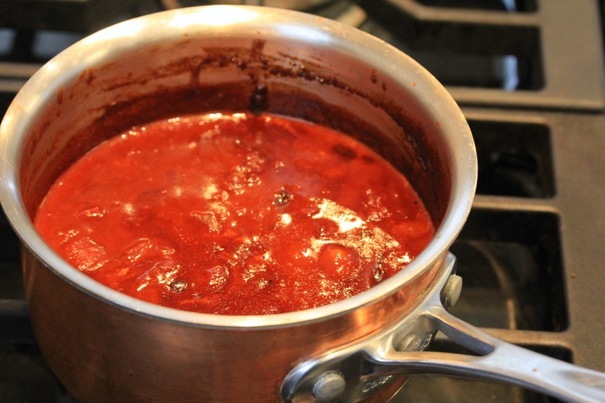 Sauce can be kept in refrigerator for up to 2 weeks.